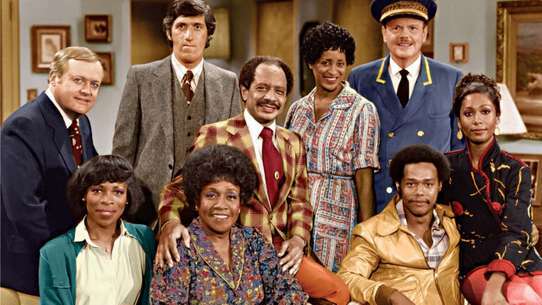 A nostalgic comedy set in 1950s Milwaukee centered on the squeaky-clean Cunningham family and their relationship with Fonzie, a motorcycle-riding Casanova who became a pop-culture phenomenon during the show's heyday in the 1970s. Jenny dumps a nice guy to be with a former Olympic swimmer, but K. C. learns that the swimmer doesn't feel the same way about Jenny as she feels about him. Meanwhile, Fonzie wants to have a swimming pool put in the Cunninghams' backyard. New events in Joanie's life cause Chachi to resent her for not having enough time for him. 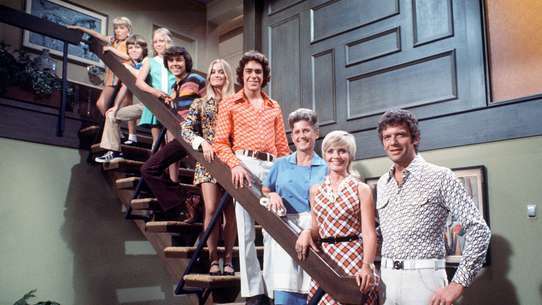 Each has their own solution: Joanie wants to break up, and Chachi wants to get married. 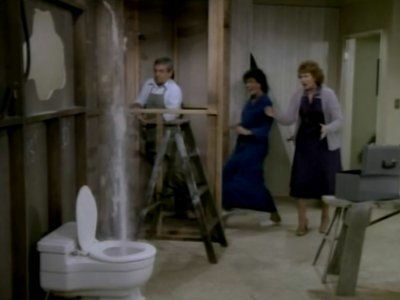 Howard decides that it is necessary to build a second bathroom after he's forced to shave at the dining room table. To save money, he decides to allow Fonzie's students to build the room. Howard doesn't realize that the room will take all semester to complete, and this hurts his plan to make a killing in whisper-quiet toilets. He fires Fonzie and the students and says he'll finish the bathroom himself. 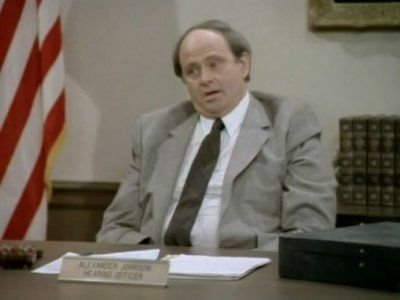 Fonzie is accused of hitting a trouble-making student but refuses to testify at a school-board hearing. By not doing so, he runs the risk of being ruled against and getting fired. Still upset about having given up on his dream as a screenwriter and having to pretend to be happy all of the time, Richie takes out his frustrations on everyone around him - including punching Fonzie in a bar. Writers: Brian Levant, Fred Fox, Jr. 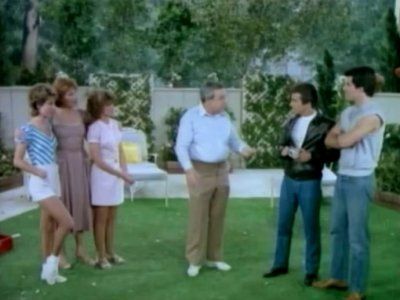 The gang tries to get the Lone Ranger, Fonzie's idol, to appear at his birthday party. Meanwhile, Fonzie thinks about becoming a one-woman man. Fonzie finds a note he wrote as a child containing a list of things to accomplish in the next twenty years. On the list is one goal he hasn't yet accomplished: climb Suicide Hill on a motorcycle. The problem is that he's already tried it and failed. 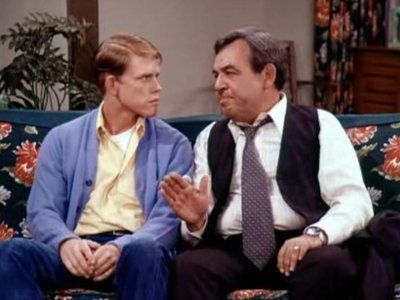 Fonzie wants to win the "Teacher of the Year" award to spite a fellow teacher. Richie and Lori Beth want to get married, but Lori Beth cannot go to Richie's base until they're already married. Roger suggests that they have a ceremony in which a proxy stands in for Richie because he can't be there in person. Fonzie volunteers to be the proxy. Facing competition from a hardware store at a new mall, Howard says he'll have to close Cunningham Hardware. Unknowingly, Richie, Potsie, and Ralph are invited to a party hosted by the She Devils gang in which the Devil who brings in the biggest nerd wins a $100 prize. After Richie discovers the purpose of the party, he and the guys head for the door. However, several Devils come in carrying a sack containing a guy who jilted the sister of the gang's leader. The guy is Chachi. Howard and Al are co-chairmen of a Leopard Lodge fund-raiser. 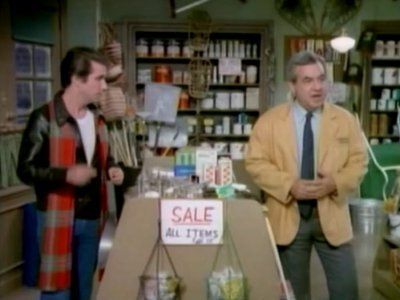 When the magician/escape-artist they hired injures himself while attempting the milk-can escape, Fonzie suggests another magician, the Amazing Randi. 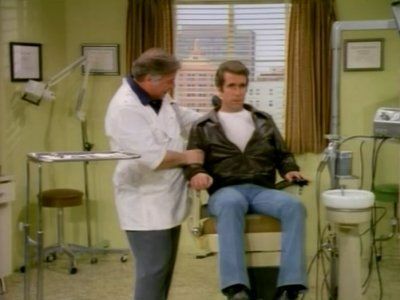 Fonzie comes down with a terrible toothache but refuses to see a dentist. Meanwhile, Howard is upset about Joanie's choice of attire for a wedding she's attending. Because she's never been to his house or met his mother, Joanie thinks that Chachi is ashamed of her. 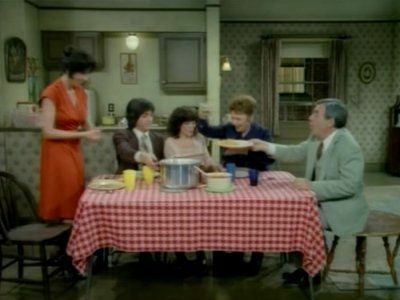 Fonzie invites the Cunninghams over to the Arcola's for dinner on Chachi's behalf. 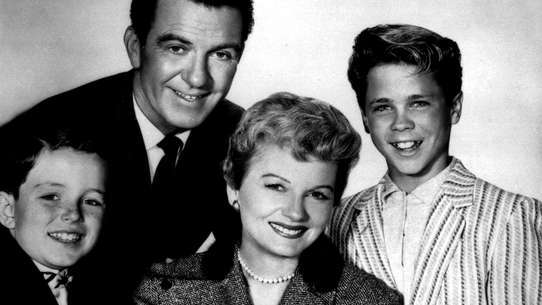 Fonzie surmizes that Chachi is embarrassed of his mother and uncle and of the fact that they're poor. Chachi discovers a great basketball player who recently transferred to Jefferson High. However, he initially holds back when performing for Roger and, suddenly, changes his mind about being on the team when his father orders him home in the middle of a practice. 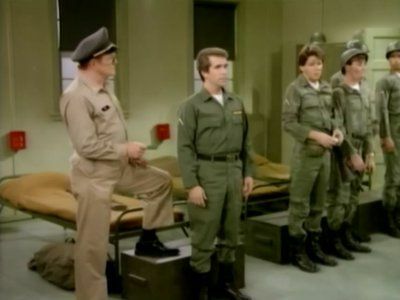 It's Heather's birthday, but Fonzie (along with Potsie and Roger) has to report for the Army reserves. 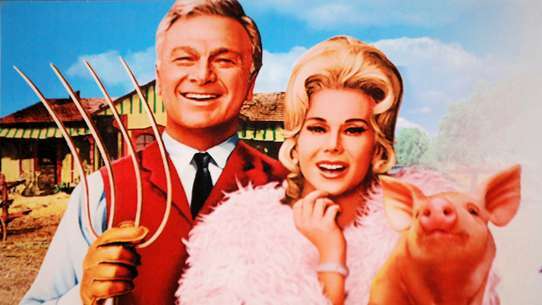 He promises Heather that he will be at her party, but he didn't count on Officer Kirk being the commanding officer. 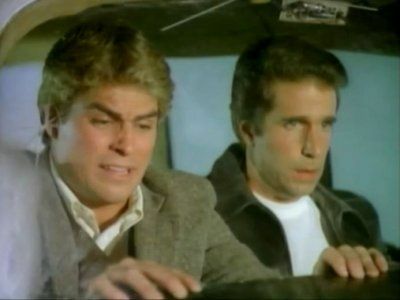 Fonzie and Roger miss their flight to Minneapolis for a teacher's convention, so they agree to go with Potsie's uncle, Omar, who has a small plane he uses for crop dusting and spreading ashes. 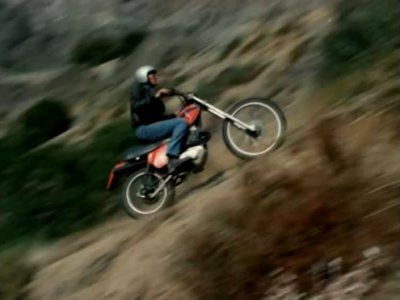 Omar jumps out when there is trouble with the engine leaving Fonzie and Roger by themselves with no parachutes. 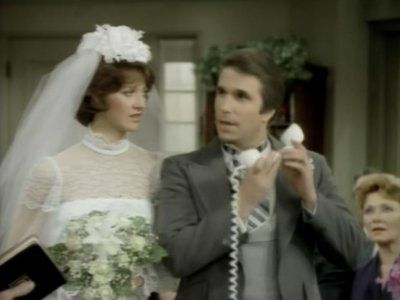 Directors: Jerry Paris, Michael O'Mahony, Francis X. Feighan Jr.
Fonzie is the best man at the wedding of an old pal, but the bride-to-be stops the ceremony after spotting Fonzie. Meanwhile, K. C. awaits word about a part in the school musical. 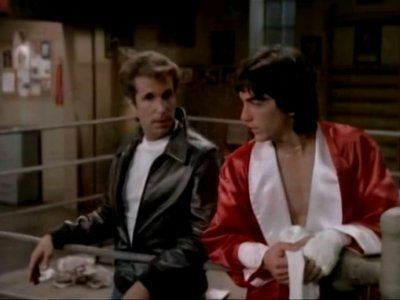 After being nothing more than a coat rack for Fonzie's scarf during a rumble, Chachi enters the city boxing championship tournament to earn his respect. Fonzie is elated when Chachi wins his first fight. Writers: Richard Correll, Fred Fox, Jr. Facing failing his anatomy final, Potsie threatens to quit school. Fonzie tells him to use music as a tool to help him with the exam. 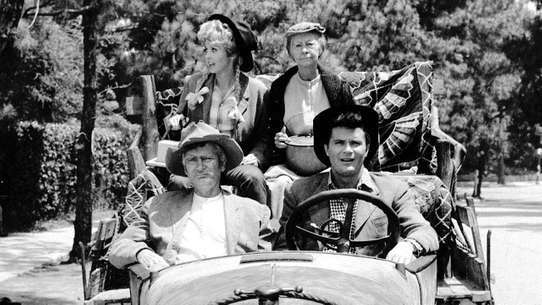 Meanwhile, Joanie and Howard are at odds over her less-than-stellar report card, and Fonzie needs a new pair of boots. 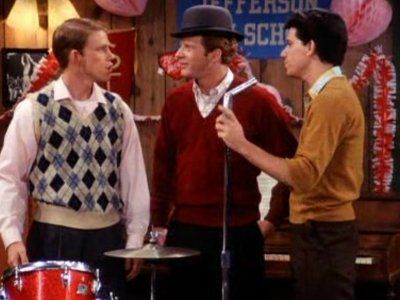 With Richie in a dating slump, Fonzie sets Richie and himself up on a double date with two of his girls, Laverne and Shirley. 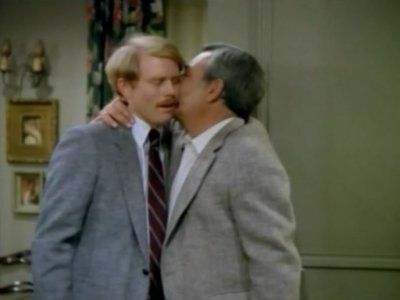 Needing to make a good impression for a prospective business deal, Howard asks Richie to take the "Prince of Porcelain's" daughter out on a date. 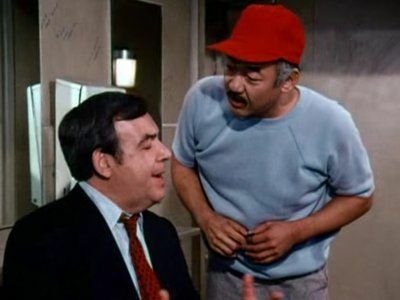 Richie, however, already has big plans and asks Potsie to take his place and pretend to be him. 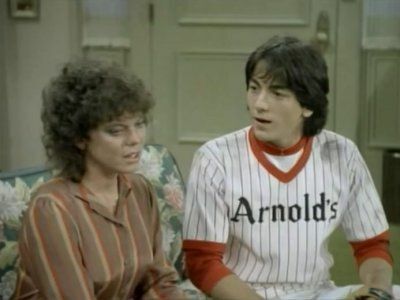 Joanie thinks Chachi is losing interest in her, and Chachi thinks Joanie isn't taking him seriously. On the advice of Lori Beth, Joanie invites Chachi over for dinner on a night where she is babysitting Potsie's cousins. 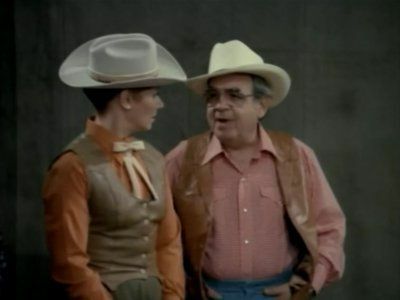 Chachi tells Al that he's finally going to make his move with Joanie. 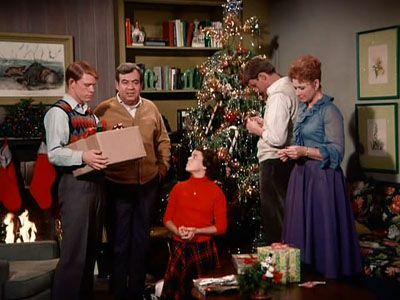 Howard wants Christmas Eve to only include the family, but Richie discovers that Fonzie will be all alone. At his 45th birthday, Howard realizes that his life has been very dull up to this point, and he attempts to run away to Tahiti.